Scott here! I’ve been behind the scenes lately, because I’ve been busy at work buried under mountains of spreadsheets, charts and numbers. Whitney has been handling the recipes and workouts, while I try to help her catch up on sharing all of our hiking trips. I’m taking a break from that to talk about something else important that directly relates to hiking and the great outdoors. We’re HUGE advocates of “Leave No Trace” and with the increase in people enjoying the outdoors, mainly National and State Parks, we’ve seen more trash than ever. We can help solve the problem by adhering to the Leave No Trace principles and taking an extra bag outdoors to pick up trash that others have left behind. With that said, there’s another big problem lurking in the woods that many people tend to overlook – the spread of invasive pests. Although we’re well aware of the problems posed by spreading invasive pests, I was ill-informed as to the large role humans actually play in this issue. Invasive pests are foreign species that wreak havoc on the environment, displace native species and can even impact public health. 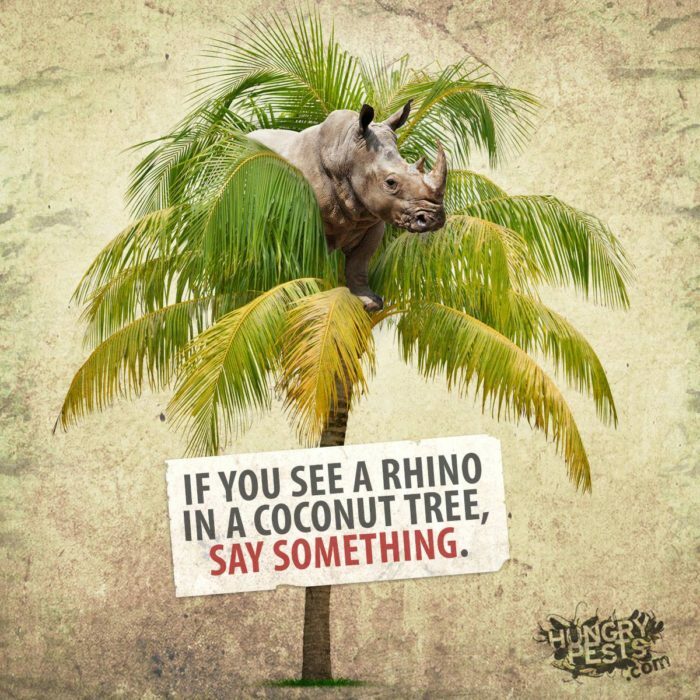 While they might not all be as obvious as a rhino in a coconut tree, knowing what to look for and being aware of the problem will definitely help prevent these pests from further spreading. Each year, invasive pests cost the U.S. billions of dollars in damages. Hungry Pests are 19 invasive species identified by USDA-APHIS (U.S. Department of Agriculture’s Animal and Plant Health Inspection Service) that are particularly destructive to America’s trees, plants, and agricultural crops. These pests tend to arrive in our country via commercial trade, but once here, the biggest way they spread is in the things people pack and move. Because of this, people are also the main solution in helping to keep these pests from spreading. Increased outdoor activity comes with a greater risk of spreading these dangerous pests. As you know, one of our main goals is to visit all of the National Parks. We take a few trips each year and enjoy day hiking and sometimes overnight camping. Even though it is a goal of ours to visit all our National Parks, there are plenty of other amazing hiking and camping destinations that we love, like Roan Mountain (pictured above). If you’ve ever camped, you’ve probably noticed that there are signs posted to not move firewood. While at first it may seem like a silly rule, there is a reason! 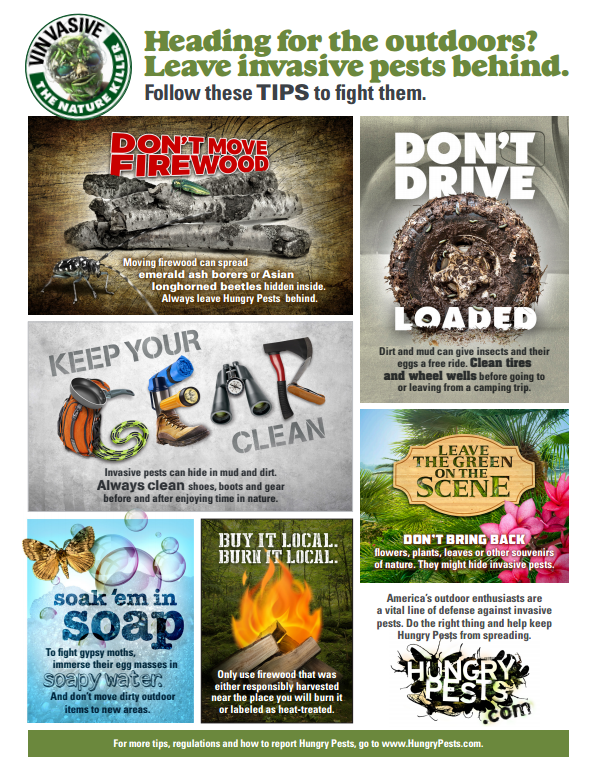 Moving firewood is a surefire way to spread pests that may be hiding inside. That’s just one example of something that you may have seen before, but there are several other actions that we may not think much about like leaving plants, flowers, etc. where they belong instead of bringing them back with us. Before leaving for and returning from a camping trip, remove any mud and dirt, which may carry insects and their eggs, from cars and recreational vehicles (RVs) to help prevent transporting invasive pests to new areas. Be especially attentive to clean debris from tires and wheel wells. Also, clean tires on mountain or other bikes you may use. Likewise, clean mud and dirt from shoes, boots, backpacks and other gear before leaving your local area to hike or enjoy time in nature. Although it may be tempting, don’t bring back flowers, plants, leaves or other natural souvenirs discovered in the wild, as they could have invasive pests attached to them. Leave nature in nature. Planning to enjoy an outdoor campfire? Don’t move firewood. This is the easiest way to avoid spreading invasive species, such as the Asian longhorned beetle and emerald ash borer, which can be hidden inside. Buy firewood where you plan to burn it. Only use wood that already has been responsibly harvested near the place you plan to burn it. Or buy and use wood that has been heat-treated or certified as safe to use. Many national and regional parks no longer allow people to bring in firewood from the outside. By doing so, not only could you face a hefty fine, but you could bring in pests that destroy the beautiful wild spaces you love. For those living in the northeast quarter of our country, look for insect egg masses attached to outdoor items, such as furniture you bring on your camping trip. Even items stored in your garage could hide them. They could be the destructive gypsy moth, which eats more than 300 species of trees and shrubs. Carefully remove and immerse gypsy moth egg masses in soapy water. And report findings outside of quarantined areas to federal or state agricultural officials, since early detection is key to controlling these pests. As with any other type of trip, packing and unpacking for an outdoor adventure can take up a lot of time. It’s easy to want to cut corners, but taking the time to clean as much as you can before you leave for your camping trip and then again before you go home will help protect these lands that we love. We always thoroughly clean everything we use, including our clothes, tent, boots, bags, etc. and quickly put them away. 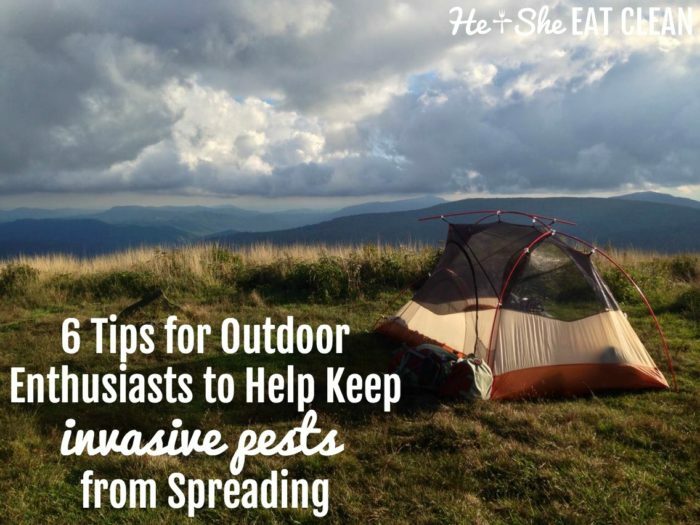 Finally, these invasive pests do not just apply to our favorite hiking or camping spots, they can also affect our food supply. 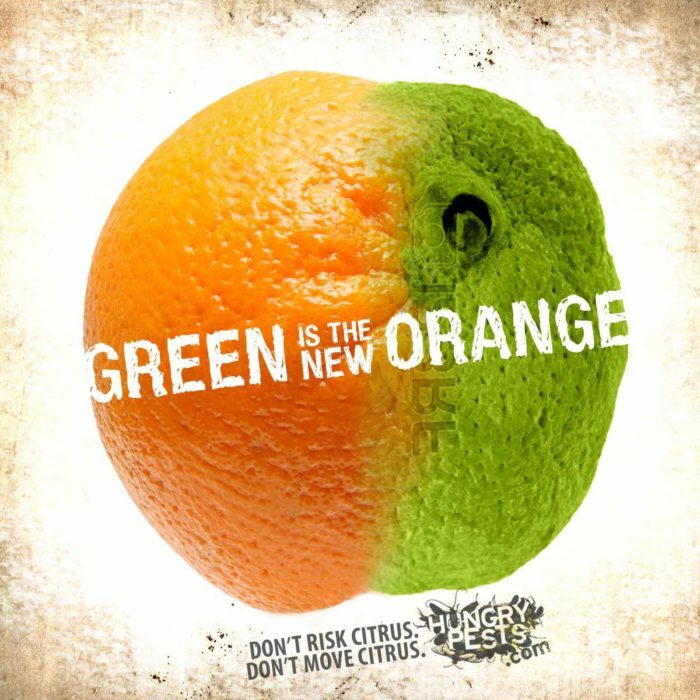 One that applies to our state, Georgia, along with California, Florida, Louisiana, Puerto Rico, South Carolina, Texas and the U.S. Virgin Islands is citrus greening. Once a tree is infected there is no cure. I definitely don’t want any green oranges! The website includes photos and descriptions of the 19 Hungry Pests, which ones threaten each state, an online tracker of federal quarantines, and phone numbers to report signs of these invasive pests.